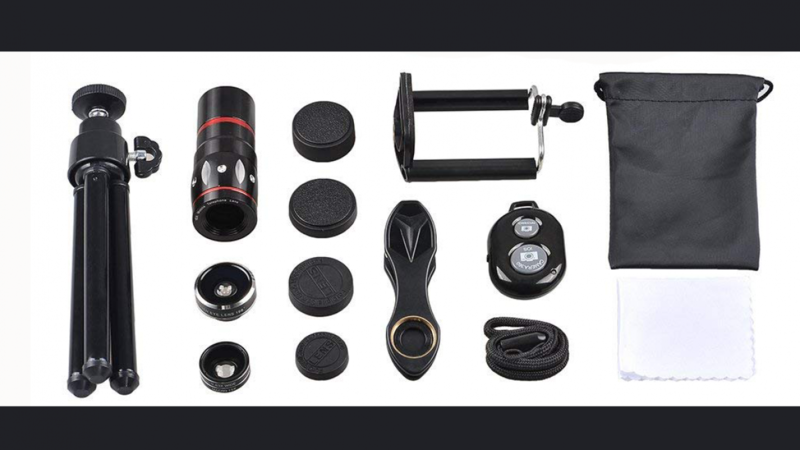 This five in one smartphone camera lens kit is perfect if you want to perfect your smartphone photography skills. It is easy to use because the lenses are simple to attach and shoot photographs with. This five in one kit will help you improve your smartphone photographs because it contains everything that you will need. In the kit there is a telephoto lens, a fisheye lens, a wide angle lens, a wireless shutter, a mini tripod and a phone holder. The holder and the tripod will hold your phone in place for those important shots. This matters because no matter how hard you try to hold it completely still with your hand there is usually some slight movement. 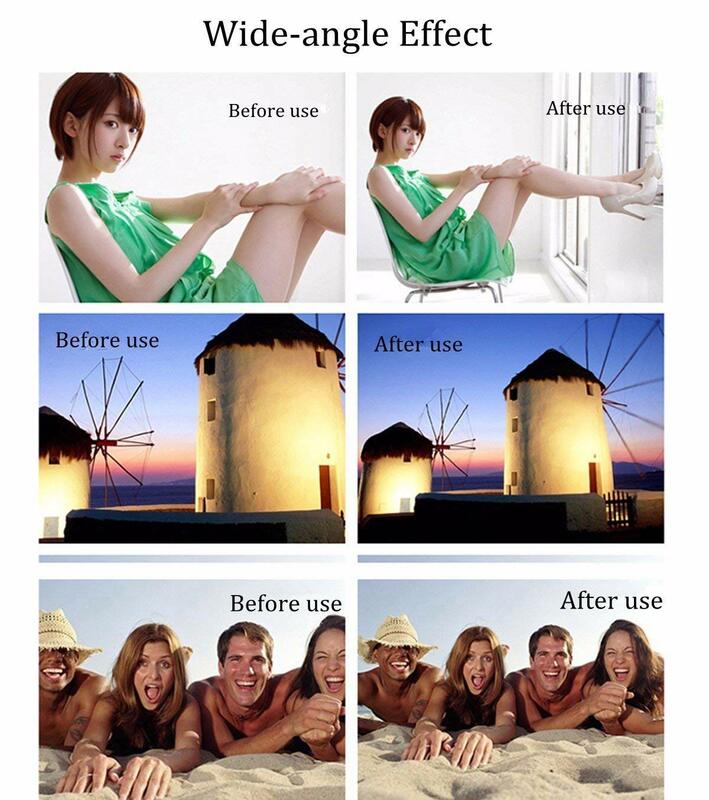 You will find that this does affect the quality of your photographs. The macro photography lens is handy because it will help your to focus on and capture close up photos. Most smartphones struggle with macro photography so you will find this lens to be pretty useful. The wide angle lens is great because it helps you to capture large scenes. If you want to take photos of a large group of people or wide landscapes this lens will enhance your phones capability. 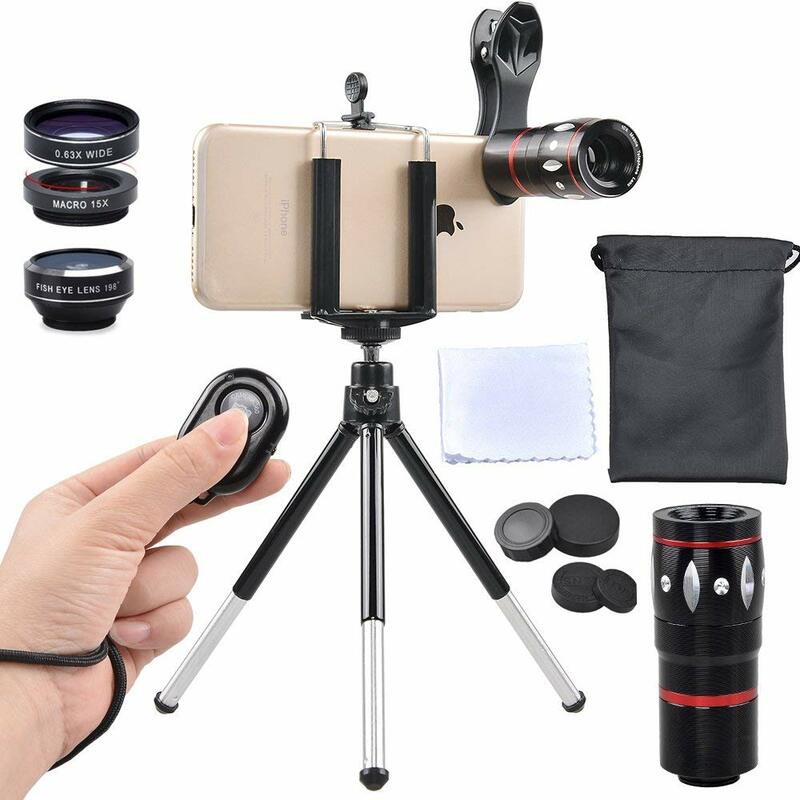 If you like this cool smartphone lens kit then you may also like to check out the following.